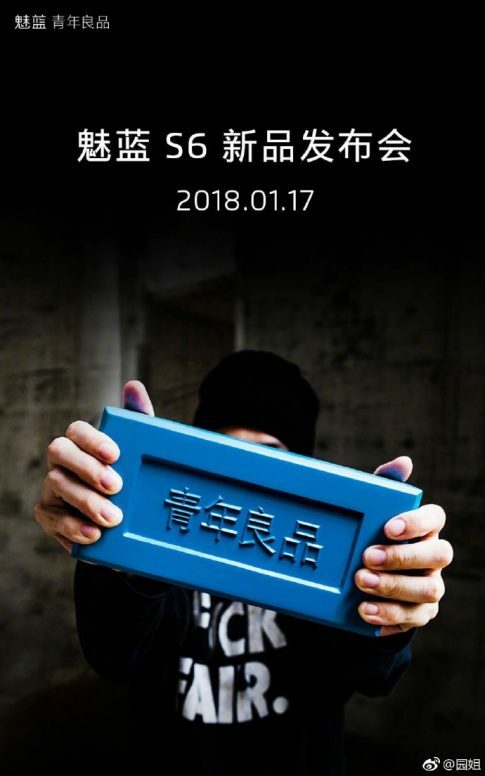 Meizu has posted a teaser which reveals that their upcoming “S series” mid-range smartphone will be announced on January 17th in China. The company has already confirmed that Meizu S6 will come with an 18:9 display. The device has already gone through TENAA and AnTuTu which reveals some of its key specs. According to the listing, Meizu S6 will feature a 5.7-inch HD+ display with 18:9 aspect ratio and 2.5D curved glass on the top. The device will be powered by Exynos 7872 SoC with Mali-G71 GPU. In terms of storage and RAM, the device will have two variants: 3GB RAM + 32GB storage and 4GB RAM + 64GB storage. The handset will sport a 13MP snapper at the back while on the front it will have a 5MP shooter to take care of the selfies. It is said that Meizu S6 will feature the side-mounted fingerprint sensor. Under the hood, it will have a 2930mAh battery. Still, there’s no news regarding the pricing and availability. We will know all the other details on the launch date. Stay tuned for further updates.